French toast! Something I am sure a lot of you thought you would never have again as a vegan. The trick to this recipe was the chickpea flour, which works well as an egg substitute. If you cannot find chickpea flour, you can make it yourself but grinding up small batches of raw chickpeas in a food processor. I topped mine with some powdered sugar, strawberries and real maple syrup. 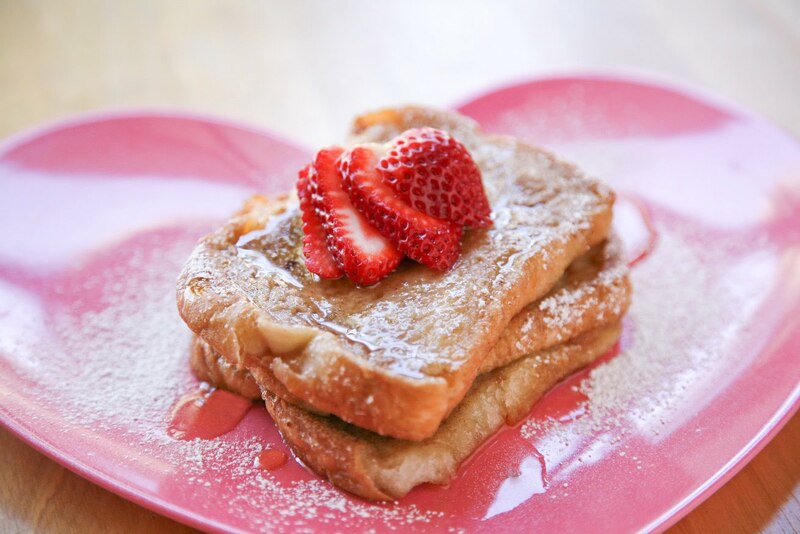 A very healthy alternative to the traditional way French toast is made. 1. In a shallow bowl, whisk together the soy milk and flour. 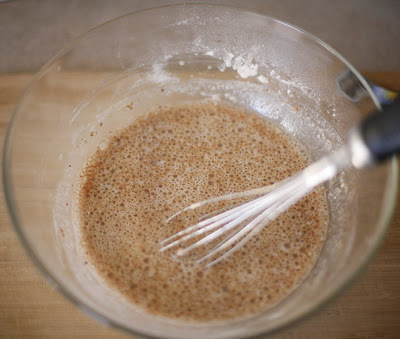 Once the flour is well incorporated, whisk in the cinnamon, nutmeg and vanilla until throughly combined. There will be a little lumps left in the batter. Don't worry about them too much, just make sure the bigger ones are dissolved. 2. Heat a large skillet over medium heat and add enough oil to cover the bottom of the pan. The canola oil will be very important throughout this process. You will learn by trial and error what is too much or too little. Remember that the bread will absorb some of the oil so add a little extra in preparation for that. 3. 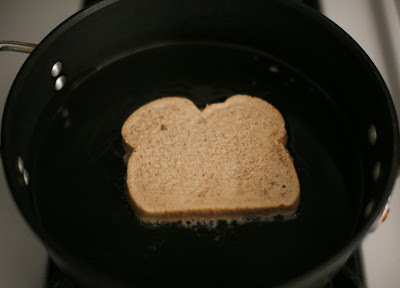 Dredge each slice of bread in the soymilk mixture and add the hot oil. Cook the French toast until each slice is golden brown, approximate 2-3 minutes per side. 4. Top with vegan powdered sugar, strawberries and pure maple syrup if desired. mmmm, I love breakfasty things. I have tried to make vegan french toast before but it always turned to mush or stuck to the pan:( I will have to try to get some chickpea flour ASAP!!!! this looks good and so simple!! do you know if you can use tapioca flour instead of chickpea flour? oh yeah this recipe is going to be made soon. I love this recipe and I will make these great french toast. Thanks. Yeah, the chickpea flour makes a huge difference! Also, that heart-shaped plate is pretty much the cutest thing I've ever seen! That looks so perfect & delicious! Very ingenious recipe! I never liked French Toast, but I think like many vegan versions of dishes I dishes I never liked the non-vegan version of...I will like this! Stephanie - Tapioca flour should also work well. Give it a try! Would it work with peanut flour? That looks delicious, I love your heart shaped plate too! I had no idea chickpea flour worked well as an egg substitute! 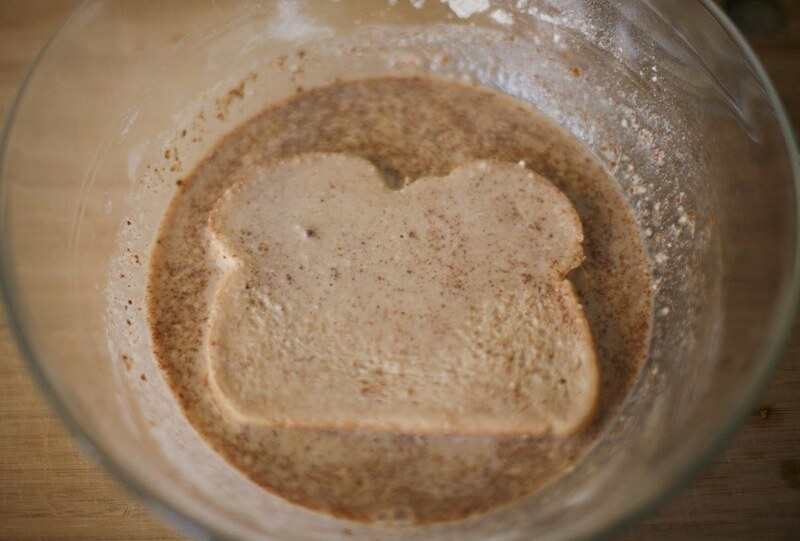 I've been making french toast with flax eggs and LOVE it, but really want to try this now. I just picked some chickpea flour up, too - and if only I had bread, I'd be making this in the a.m.
Hannah - No, it wouldn't work with all-purpose. Something about chickpea flour, gives it a slight crunchy texture. Lauren - I've never heard of peanut flour before. I am not sure if it would work but you can give it a try. Please do let me know how it turned out if you do. Yum Yum! Looks perfectly delicious, I think I've found my Sunday breakfast for this weekend. Awesome looking toasts. Love the strawberries on top. thanks for this recipe! it was awesome, i made it with almond milk and used tapioca flour instead of chickpea and it still turned out great! I haven't had french toast in years ~ I am going to be making this next weekend :-) Thanks!